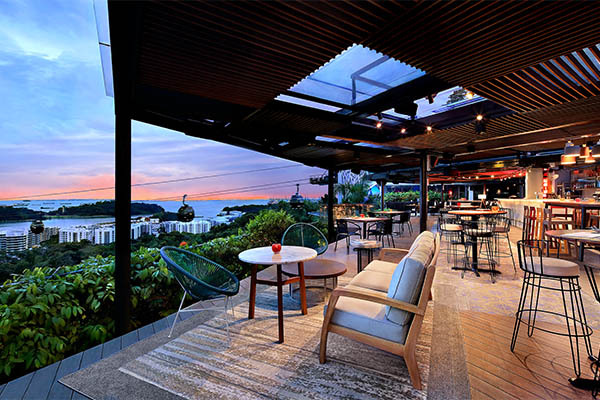 Located 100-metres above sea level and surrounded by lush rainforests, Dusk Restaurant & Bar boasts some of the best views that its hilltop postal code should. 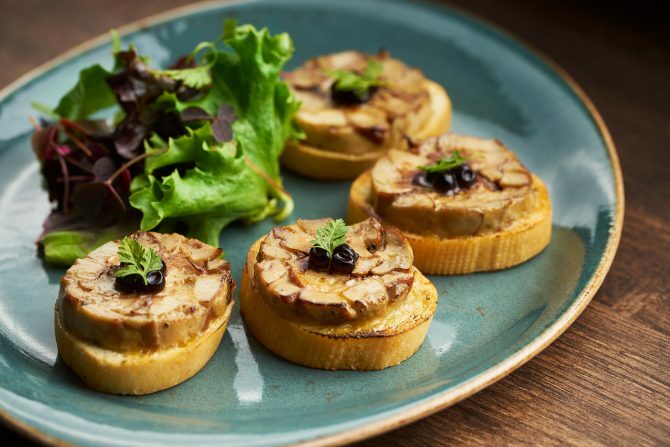 The soaring scene of greenery slowly blurring into Singapore’s cityscape is indeed a fitting prelude to the impeccable menu by Executive Chef Kenny Yeo – a practitioner of the French culinary arts for more than 30 years. We started our dinner with the Foie Gras Au Gratin ($20) served on crunchy baguette slices, and topped with truffle balsamic pearls. Chef shared that the foie gras was first marinated overnight in sweet dessert wine, before being flame-seared to just the right texture. 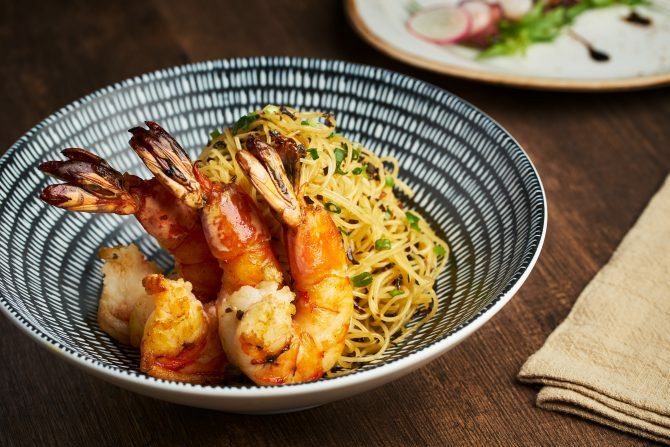 With our appetites thoroughly whetted, we ploughed through the Tiger Prawn Capellini ($28), featuring angel hair pasta tossed in aromatic lobster-infused oil and Japanese seaweed. 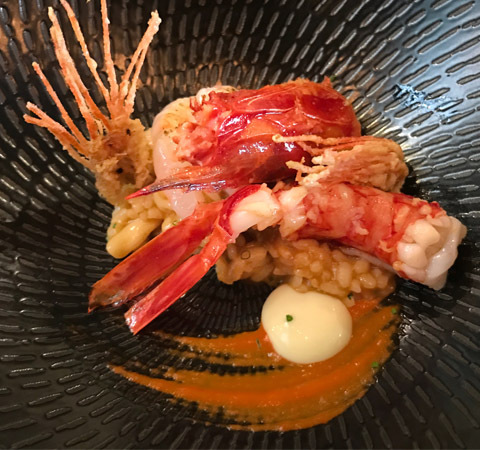 The cherry on top is accompanying juicy tiger prawns that makes the dish a delicious representation of the sea. 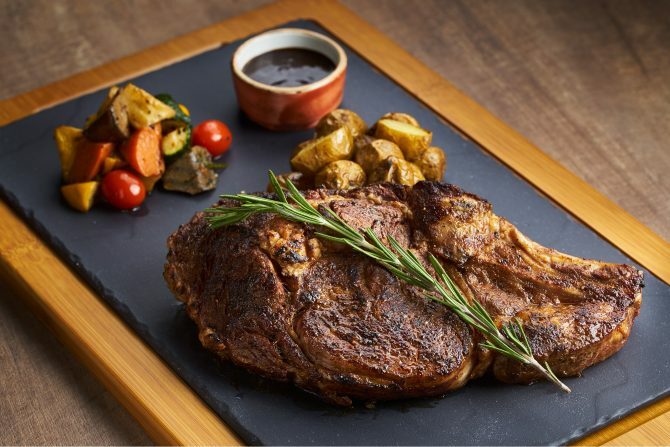 Dusk’s Côte de Boeuf ($98, a bone-in rib steak), a 700g Prime Rib that can feed up to 3 people, is first cooked sous-vide, before being grilled just before serving to enhance the flavour and presentation. The generous slab is served with fresh garden vegetables, roasted marble potatoes, and red wine sauce. 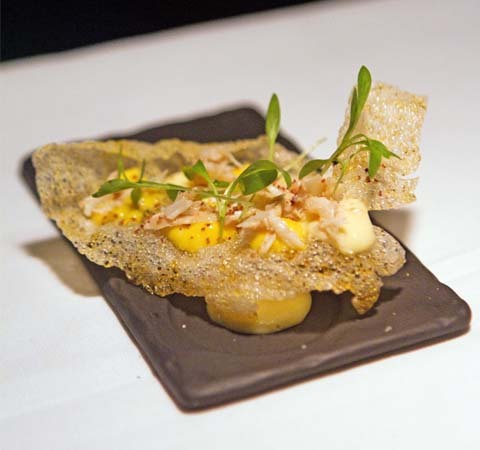 Our last, but certainly not least tapas of the night was the Citrus Fremantle Octopus ($25). 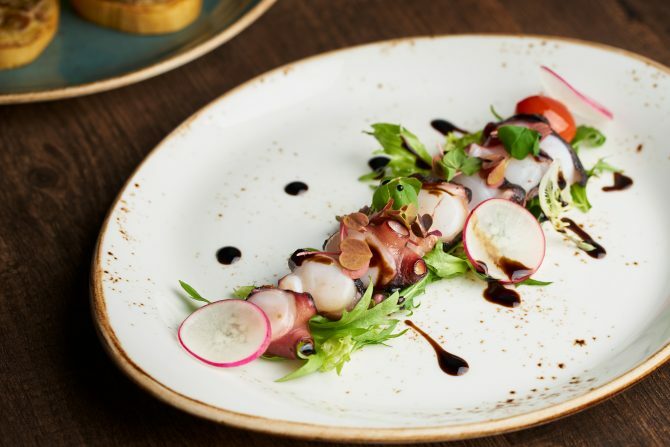 Like its name suggests, the octopus is sourced directly from Australia’s famous Fremantle markets and sous-vide to a precise 80% done. This way, the tendril retains its succulence and flavours. Baby pomodoro tomatoes and arugula balance are a welcoming addition to balance out the oceanic flavours with their earthy punches. A meal at Dusk wouldn’t feel complete without trying one of the fun cocktails (priced between $15 and $16 per drink). 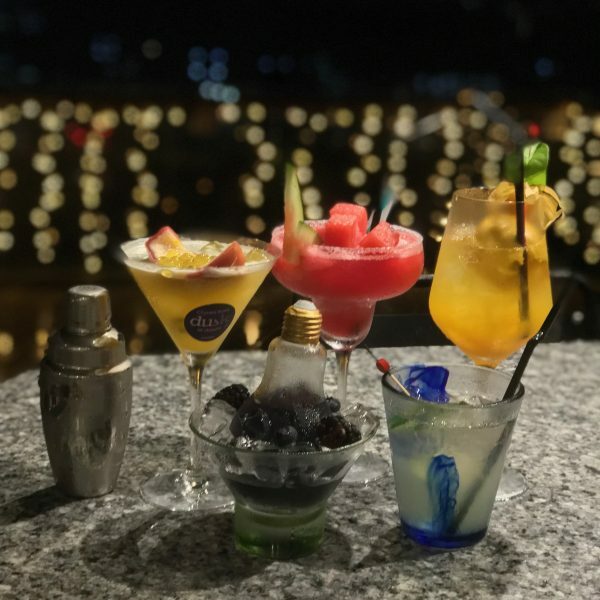 Each cocktail is served Nitro-frosted, which means that nitrogen is injected into the drink through an aerator, keeping your precious libation chilled longer, and of course, making for an Insta-worthy cocktail shot. For first-timers to Dusk, we recommend the Dusk till Dawn — which happens to be one of our favourite song at the moment. Deceptively innocuous, the sweet potion is a beautiful concoction of gin, vodka, rum, tequila, blue curacao, lemon juice, peach syrup, and cranberry juice. Conclude the perfect evening with a scenic cable car ride down to VivoCity, and we’re sure you’ll be dreaming of Dusk for a long time to come.